Bill Oetinger was born and raised in Portland and attended the University of Oregon, where he majored in Journalism. But he has lived most of his adult life in the San Francisco Bay Area. He has been cycling for all of that adult life, rolling out—so far—well over 200,000 miles. 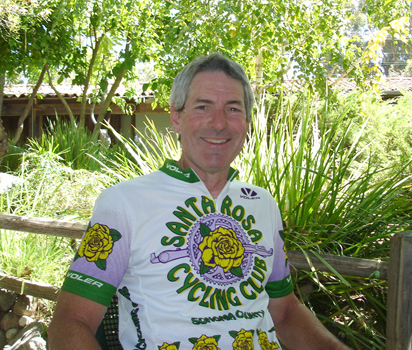 For over 20 years, he was the Ride Director and Newsletter Editor for the Santa Rosa Cycling Club, one of the larger bike clubs in Northern California. In that capacity, he planned and coordinated thousands of rides around the Bay Area. 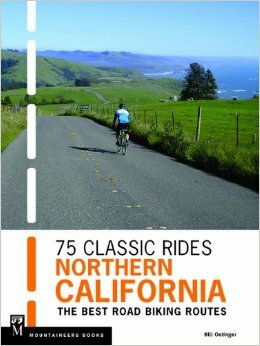 Further afield, he has organized many tours for the club and for his friends, adding up to nearly 200 stages scattered throughout California and Oregon, as well as in other states and abroad. Many of those tours are collected here. Since 1992, Bill has been either Chair or Co-chair of the prestigious Terrible Two Double Century, one of the most challenging one-day rides in America. He has completed a number of double centuries and over 400 centuries. Long, hard rides aside, he is happiest knocking off a 60-mile tour stage with his friends. Bill lives with his wife Kathy on a rural acre outside the little town of Sebastopol in Sonoma County, 60 miles north of the Golden Gate. When not busy with his various cycling endeavors, he works as a commercial illustrator and plays around as a backyard putterer and an occasional artistic doodler. For a look at his portfolio, click here.